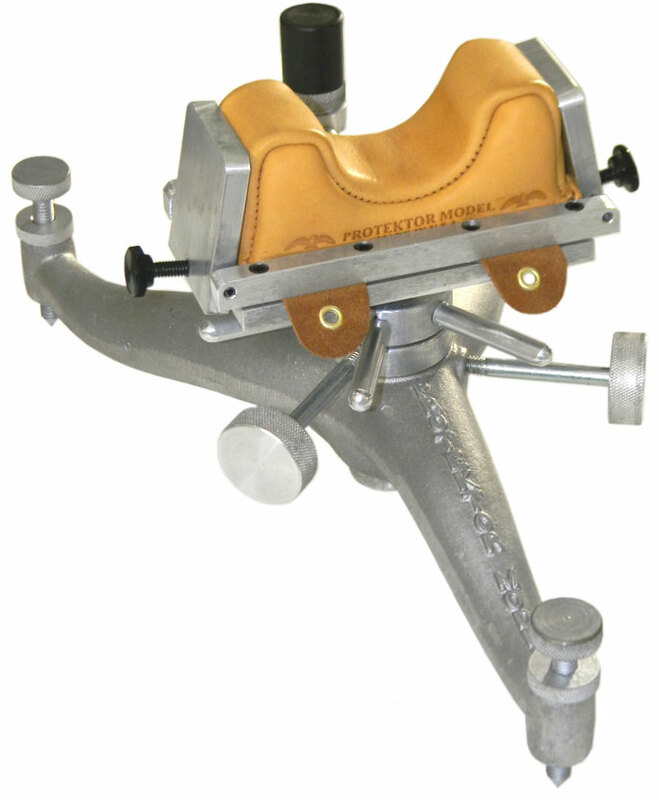 Introducing the new Protektor Model Cast Aluminum Long Range Mechanical Rest - #60. Proudly made in USA featuring, cast aluminum legs, machined aluminum top, knurled aluminum knobs and adjustable feet. Additional specs: 7/8" Threaded Rod, Adjustable height from 4-7/8" - 7", Adjustable forend stop, Fits standard sized Protektor bags, Weight without bag - 5.65 lbs., Weight with bag - 6.90 lbs., 7-3/4" x 14" Footprint and 100% MADE IN U.S.A.